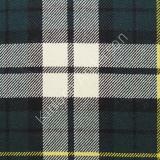 The William Lawson Tartan was designed for the blended Lawson Whisky produced by William Lawson Distillers Limited. 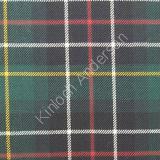 The sett is taken from the MacLaren tartan of which Lawson is a sept name of that clan. A second William Lawson 2002 Tartan was designed based on the sett of the McLaren Dress tartan but using different colours. Lawson is a sept name of the Clan MacLaren.